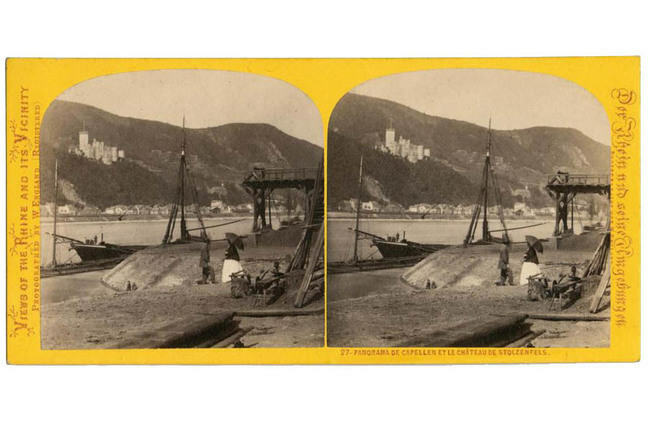 William England (1816-96) was the chief photographer for the London Stereoscopic Company between 1858 and 1863, after which he operated independently. He was an extremely skilled photographer, especially in landscape, architecture, interiors and sculpture. 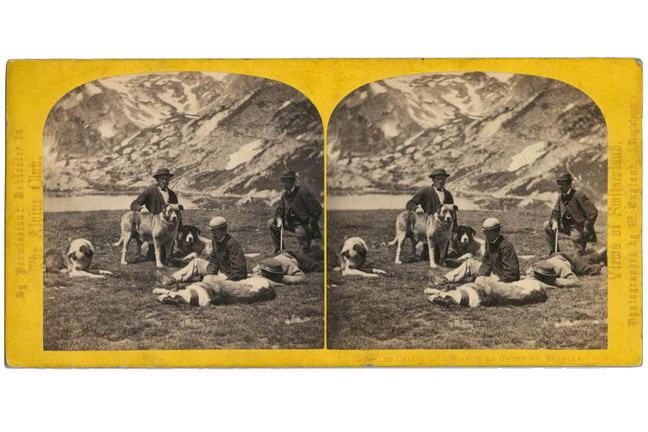 Born in London, William England began his career as a daguerreotypist before joining the London Stereoscopic Company in 1854. As their chief photographer he explored Ireland, the USA, Canada and Paris, using a horse-drawn darkroom to photograph views of exotic locations, including urban and commercial vistas as well as the natural drama of geography. 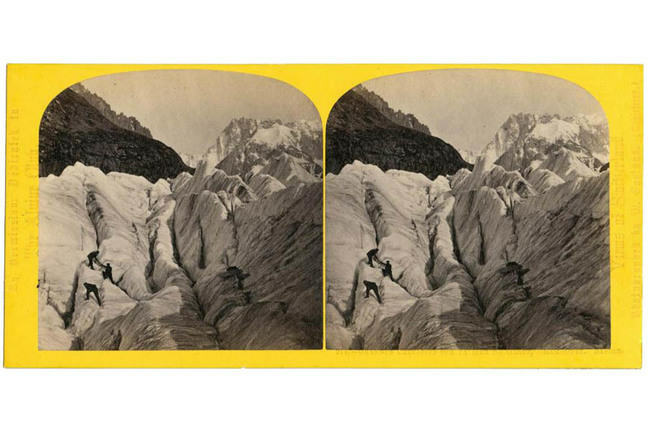 England’s 1859 photograph of a French tightrope walker and acrobat Charles Blondin crossing Niagara Falls on a tightrope became the best-selling stereograph of all time with over 100,000 copies sold worldwide. 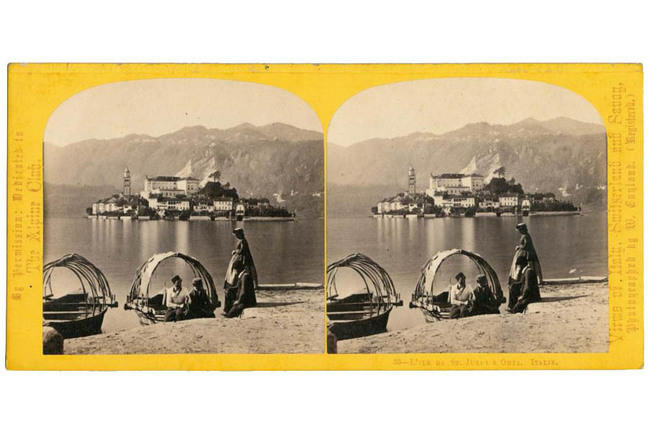 In 1863 England left the London Stereoscopic Company but continued to work as a photographer documenting continental European views, notably in France, Switzerland and Italy. 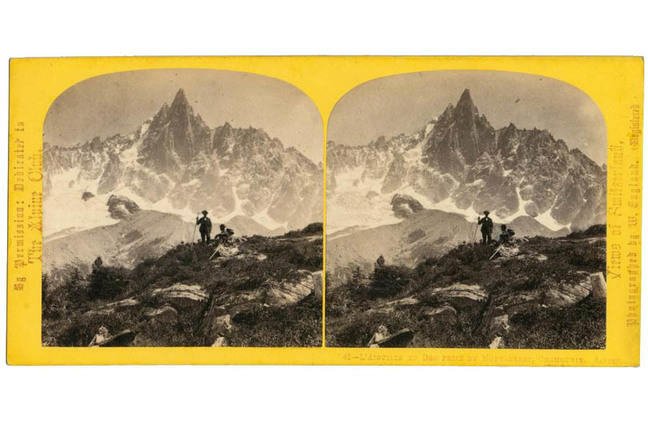 His stereos remained popular in Britain and across the continent, in particular his images from the Chamonix Glacier, several of which can be seen here. 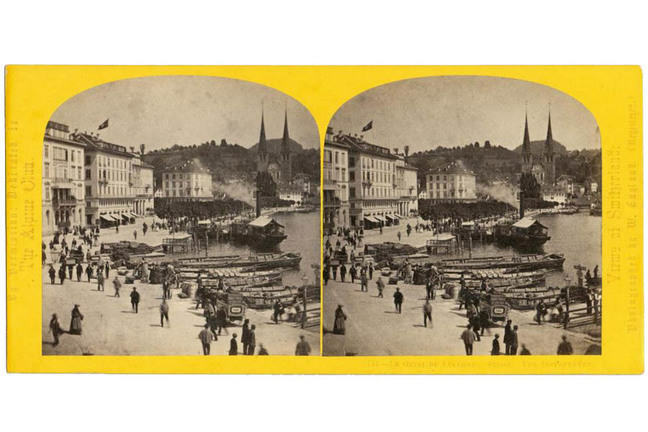 The World of Stereographs by William C. Darrah. W.C. Darrah Publisher, Gettysburg, PA. 1977.